(1) This is our 2nd review of the Marker Kingpin 13. Before reading my review, you should read our 1st review of the Kingpin, by Paul Forward, because I’m not going to rehash all the details Paul talks about. (2) I’m not interested in trying to talk you out of whatever AT binding you like best or trust most, and I encourage you to use the one you feel most comfortable with. (3) But—and spoiler alert here—this review is going to explain why the Kingpin is currently the only binding I want to tour in. It’s just not going to argue that you are dumb for using or preferring something else. The Kingpin is still a relatively new product, and I can appreciate why some people are reluctant to be early adopters of new AT equipment—I’m usually one of those people. But, for now, I feel like the Kingpin is such a significant improvement over the other tech bindings I’ve used that I’m not looking back. Jonathan Ellsworth in the Marker Kingpin 13, Mt Cheeseman backcountry. I really like touring in the Kingpin 13 & 10. I’ve used both a bunch with zero issues. I like the risers, I like the way the brakes get out of the way, and I like the weight of the setup. Note: if you are bummed out because you think the Kingpin is too heavy, then you probably shouldn’t care about my Kingpin review, because you and I likely are looking for pretty different things out of an AT binding. Because given how well this binding works (both uphill and downhill), I find the weight of the Kingpin to be a cause for celebration. I’ll also qualify my comments in this section to say that I don’t think I’ve hated going uphill on any tech binding. The G3 ION is probably the other AT binding that I’ve spent the most time on recently, and I think that binding goes uphill quite well, too. I still prefer the Kingpin to the ION for touring / going up, but for relatively minor reasons. Namely, I’ve found that stepping into the ION can be a bit more finicky than the Kingpin, but I wouldn’t say this is a huge deal. NEXT: Going Downhill, Caveats, Etc. Could you see the Kingpin as an NZ club fields binding? It’s not exactly “resort” skiing, and there aren’t many bumps/moguls at Cgraigieburn, but as you know we get our fair share of variable conditions – begging to be skied fast! You guys should seriously have a look at the Fritschi Vipec. Especially the new black version, which seems to have resolved the last of the issues they had as a new binding. I find the lateral release at the toes to be very reliable up to now, with no pre-release issues. I’ve skied it quite a bit inbounds and don’t feel much harshness either, which could be attributed to the elasticity it gains in the toes (like an alpine binding). 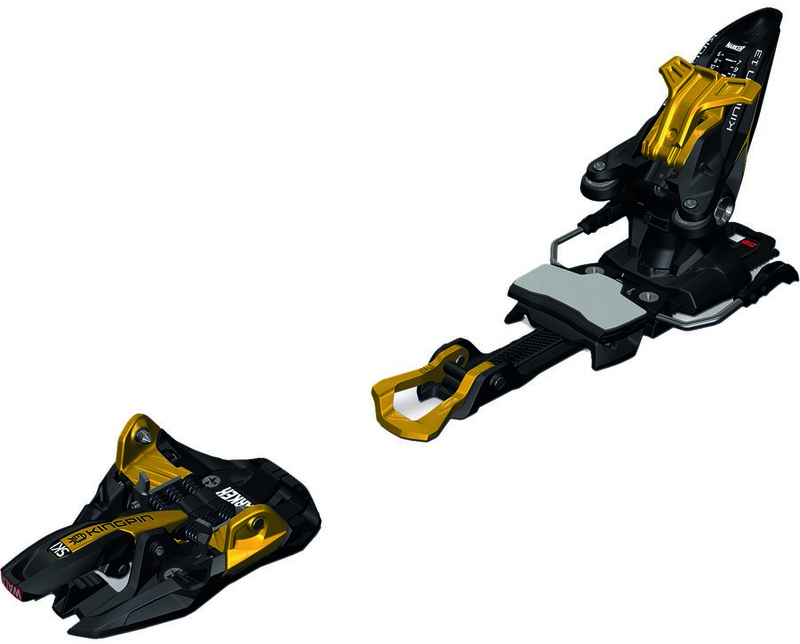 I’m not saying that it will replace an alpine binding, but I chose it specifically because I thought it would be a better at pulling double duty than most tech bindings and is safer. Anyone with similar intentions (probably people who are looking at the Kingpin aswell) should give be giving it a look! 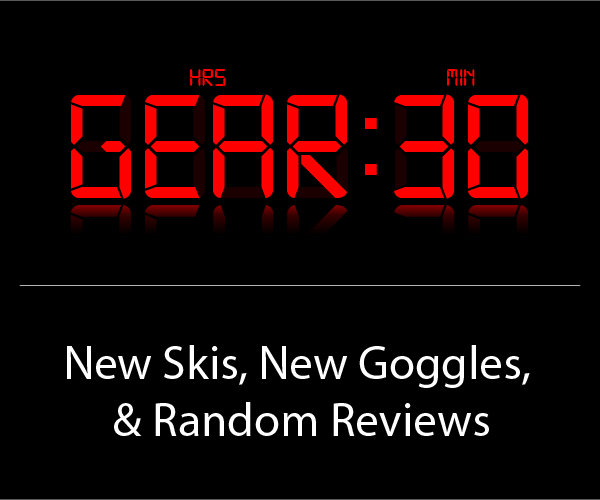 There’s a good review on TGR from leelau (he skied last years version though). and yep, I hear you. I may just have to get a CAST setup for club field service. It is a very good feeling hearing that STH “clunk”, and it would be a shame to dial it back at CV. Thanks for the update on this review. After some years on traditional tech bindings, I’m definitely keen on getting hold of a set of Kingpins or the Beast 14. In terms of price and weight they seem quite similar. I’m mostly interested in how they ski down in comparison – the toe elasticity in the Beast seems to be an advantage, whilst the heel piece of the Kingpin seems to offer considerable power transfer. 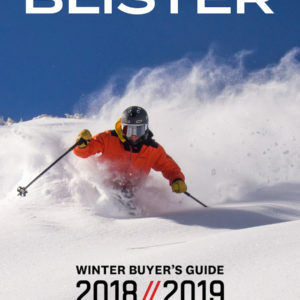 Having skied both, do you guys have any preference either way in terms of downhill performance in BC/variable conditions? Interesting that you’ve had no pre-releases, the bane of tech bindings since inception. I once attended to a poor chap who had both Dynafits pop off his feet at a no fall zone, and over the cliff he went. Spent a week in the hospital. The Swiss heli-evac team was incredible. 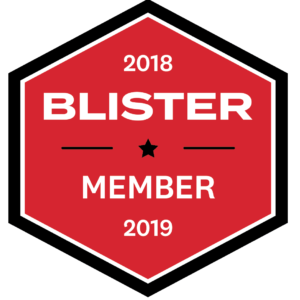 I suffered with pre-releasing Dynafits with 3 different boots over 5 years and finally threw in the towel. I bought a pair of Kingpins and some Salomon Quest Max 130 boots recently for a month long trip to the Alps, hoping that I would find nirvana. Well guess again. They popped off pretty easily on Din 8, so upped the Din to 10 [I weigh 170 pounds, and I’m too old to be anything but a finesse skier]. 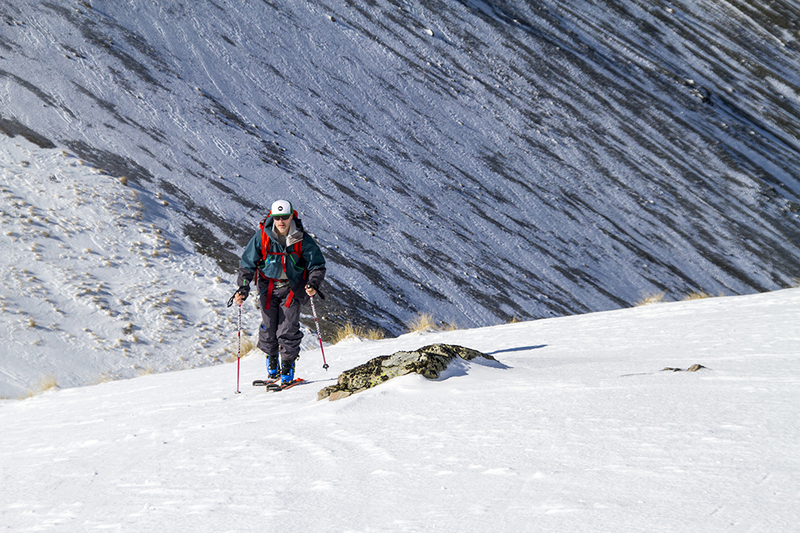 Side stepping down some steep exposed rock, both popped off as if the Din were set to 2 [ski mode]. Over the cliff I went for a fun slide down the hill. So if you’re putting yourself over some exposure, be forewarned, these are a light touring binding, as all tech bindings are. 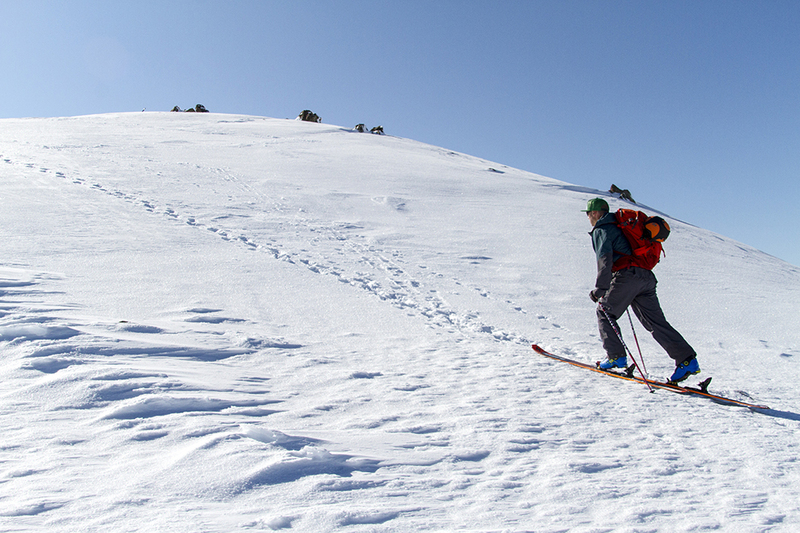 If you plan on taking risks with your skiing [you know…skiing], I would advise looking elsewhere. Oh, I have a good deal on some boots and bindings if anyone is interested. On my third pair this year, the pins are still backing out! Easy to tell when it starts happening, the toes get more an more difficult to release, when the pin gets far enough out you can see where the pin begins to narrow again. My third pair are already moving, a few more days and I can tell I will be on my fourth set this year! Too bad, otherwise this binding is the Panacea we have all been waiting for, cliffs, ice, switch, fast, never prereleasing, no failures except this one ridiculous issue that still haven’t figured out! If the pin simply widened on the outside as well (which I’m sure they will figure out) then it will be all-time. I never lock the toes out, and aside from the mentioned added jarringness (and that i will soon be on my fourth pair), they are perfectly capable at the resort. I should have mentioned… I ski my Dukes at 10, but the Kingpins have to be at 13, or the heel releases on big deep snow landings. Kind of funny but it’s actually heel elasticity that I miss the most. Skied these for 4 months. Toe pin sheared off while in tour mode. Marker customer service is not responding. Skis well enough but suffers from shoddy manufacturing, also has a problem with snow compacting in the heel piece. A nuisance, which is perhaps worth dealing with, until the toe pin sheers and you need another pair of $600 bindings because Marker won’t honor their warranty. Will be looking for other options next. Hey guys….I’m going to be mounting a set of Kingpin’s (13) to a 108 Zero G this season. Can I bend the 100 brake “to fit” or do I need the 125 brake? I’ve always bent Look Pivots on my in-bounds skis but have been hearing from different sources I should not do this with this tech binding. What are your thoughts? I have a pair of Kingpins mounted on V-works Katana’s, and I was skiing them a few times last year in bounds just to see if I really like the Katana’s (which I do), and I had a pre- release skiing on some boiler plate. I was skiing pretty fast on a steep smooth groomed face, hit a little chatter, and the next thing I know I was sliding face first straight down the hill with neither ski on my feet, going about 25 mph, all the way to the bottom of the slope! I finally stopped, and a nice young woman skied down the hill with my skis in her hand, then two ski patrollers came down to check on me, thinking I surely must be injured after sliding such a long way :-). I may be looking for some different bindings this year. Where the bindings set up properly for your boot bsl? You can’t pay me enough to ski on pin bindings. Great for going up. Will kill you on the way down. I find the toe piece impossible to get into in snowy conditions Took me 107 tries yesterday to go up in power and 113 coming down. Just impossible. 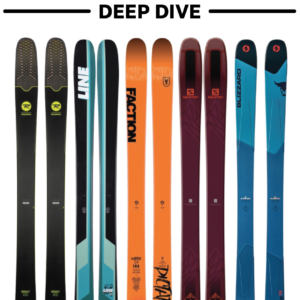 I have a pair (13’s) that I’ve been skiing the last two seasons on a 112, then a 108 width ski. In that time, the bindings have pre-released 4~5 times, almost always on icy groomers, the last time resulting in quite a nasty back injury. 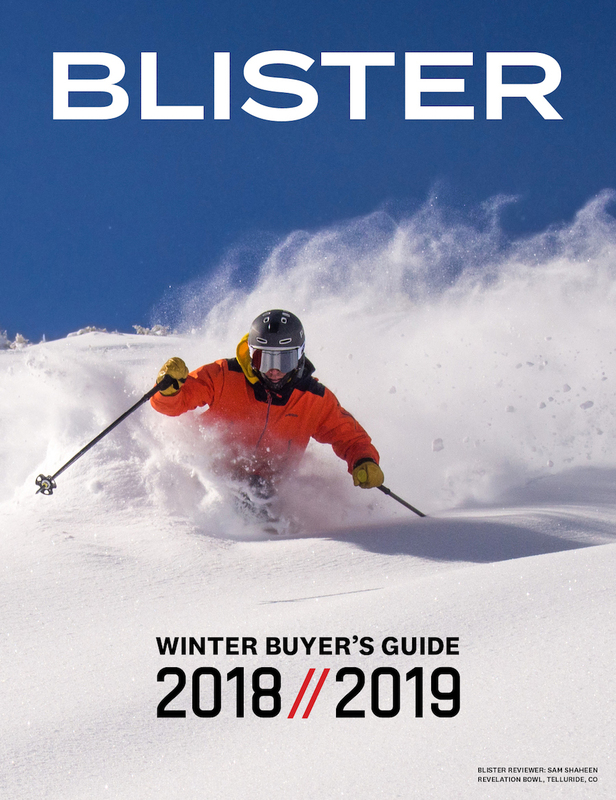 I cannot re-iterate the points in this article strongly enough: these are great touring / light freeride binding but take care on groomers. I think it’s the way pressure goes through the heel on hard-pack that causes the lateral release to go. It seems odd that on DIN 9, I can twist my boot out of the binding standing in the lift queue. I now crank up the lateral release a bit higher and take it easy on hard snow. I’ve been skiing on the Kingpin 13 for two years now and have never pre-released. I’m 6′ and 165 lb. Skiing the kingpin 13 on armada magic j’s with the scarpa maestrale rs boot. 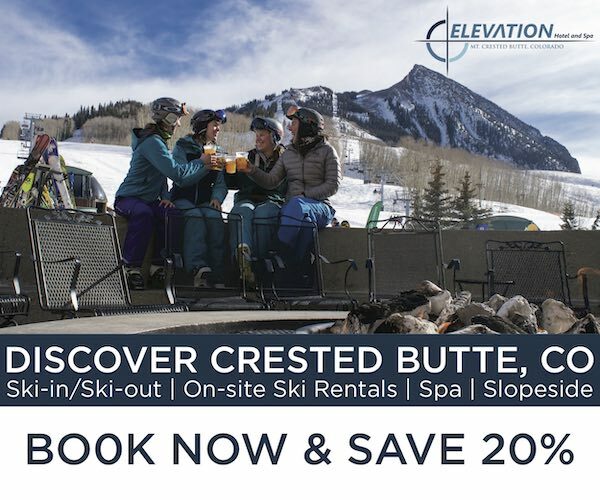 I ski around 30 times a year with about 15 of those being in the back country. The kingpin 13 is the only tech binding I’ve skied on, so I can’t comment on how it compares to other tech bindings. But I will say that I’ve noticed no difference so far between traditional alpine binding/plate-touring bindings that I skied for over 20 years prior to transitioning to the marker kingpin 13….and I’ve skied like an idiot over chopped snow and moguls on them. The only release I’ve had was after landing to far in my back seat in soft snow off a decent sized cliff, and bucking forward. I highly recommend, and plan on mounting another pair on the JJ zeros.